I’d always identified more with the Apostle Paul. But Peter? A mouthy fisherman with a yellow streak. But then I was asked to dramatize the Peter story for a movie project, and was astonished at what I discovered: more than anyone else, this broken, redeemed fisherman shows us who Jesus is. And what the historical event we call Easter is. The story was never filmed, but I did adapt it into six monologues (The Simon-Peter Chronicles), which are now regularly performed at churches throughout North America. 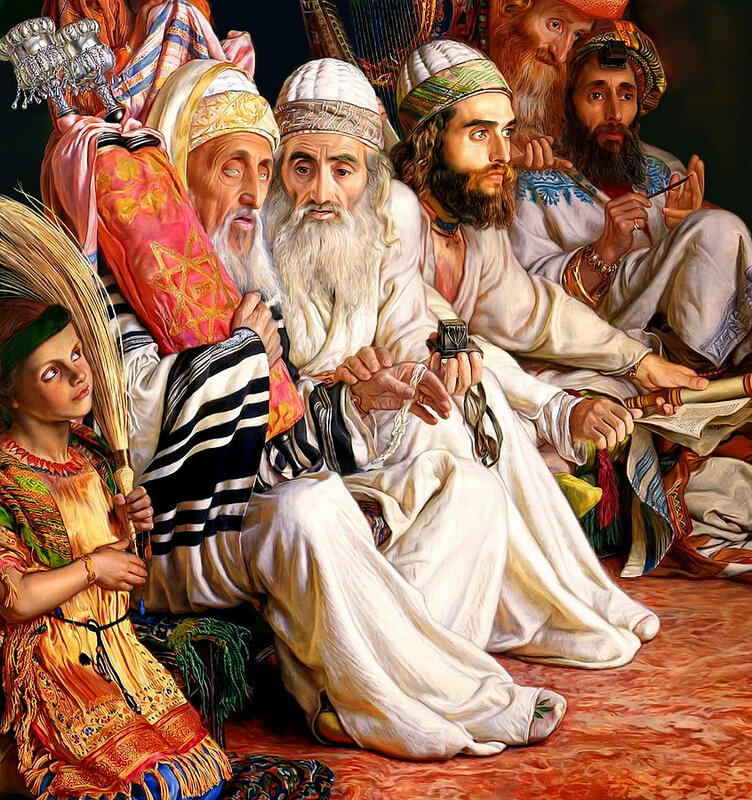 “But then at synagogue, our rabbi called Abraham ‘a friend of God’ because he had faith in the one who takes away the sins of the world.’ I want that kind of faith! But I’ve sinned so many times. I would gut my heart like a fish and carve out the sin and throw it to the dogs, if I could. But I can’t. I can’t make myself clean! Can anyone? Can this Jesus? “As if in answer, Jesus came to us while we were fishing. Once again the fish had all but vanished. 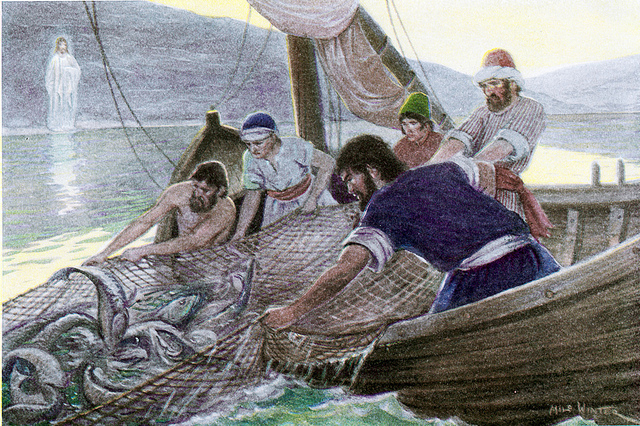 Jesus called, ‘Cast your net on the other side of the boat!’ Which any fisherman knows can only fail. But we did it. Madness! The net filled so fast—fat silvery sardines and slithering biny—it was bursting! Andrew laughed like a rooster! “Jesus frightens me. I’m just an ordinary man, and sometimes I think he’s not. And yet, no, it’s more as if he were the only ordinary man and rest of us were just pretending to be human. He never does things the way I think he should. My mother-in-law was terribly sick, miserable. Yet, at first Jesus did nothing. Why? “He looked into my eyes and said, ‘Why do you?’ And suddenly I saw all the hurt and pain I could have stopped in my life, and didn’t. This entry was posted in For Pastors and Teachers, Quips and Quotes, Religion/Faith and tagged Apostle Peter, confession, Easter, forgiveness, Good Friday, Jesus, resurrection. Bookmark the permalink. Mitch, you bring it to life. Great posts. So grateful for the insights that you share. Have a blessed Easter weekend, Sarah. I’ve recently gained a much deeper appreciation of Peter. This definitely helps. Glad to hear that, Scott. I found it! Part One! Fantastic! I love this… Your dramatic sketch of Peter really connects with me! I love it! Happy Easter weekend, Mitch! ‘Master, why do you allow suffering?’ Question of the day. We only know in part. Reblogged this on The Focused Heart.